Established in 1860, the new bakery opening on Tuesday 28th November in Altrincham, Greater Manchester will bring the total number of Warrens Bakery stores outside of Devon and Cornwall to 11. With a rich heritage and an array of award-winning sweet and savoury bakes; the team have had a busy year of openings, launching the first store outside of the Westcountry in Birmingham in February. Tipped as one of the top three British craft bakeries in the British Industry Awards 2017, we are bringing over 150 years of experience and a whole host of award-winning sweet and savoury ranges to the area, including the iconic selection of signature hand-crimped Cornish pasties. Recognised at the world’s oldest Cornish pasty maker, we put a firm focus on provenance and generations of bakers have passed down craft bakery techniques and traditions which have led to a series of accolades and prestigious awards. As ‘Great British Bake Off’ returned to our screens for the eighth year running this September, the love of British craft bakery continues to grow and Altrincham is getting involved. The new bakery on Cross Street opens in the same months as the first ever Warrens Bakery to arrive in London. To celebrate, Cornwall’s oldest bakery and the world’s oldest Cornish pasty maker has partnered with young baker and recipe writer Martha Collison to uncover the craft of British baking. The youngest ever contestant on the Great British Bake Off, Martha has a deep-rooted heritage in the South West and is working with our team to highlight the importance of British baking, why holding onto it is so important and to celebrate the best of traditional British baking arriving to the capital. 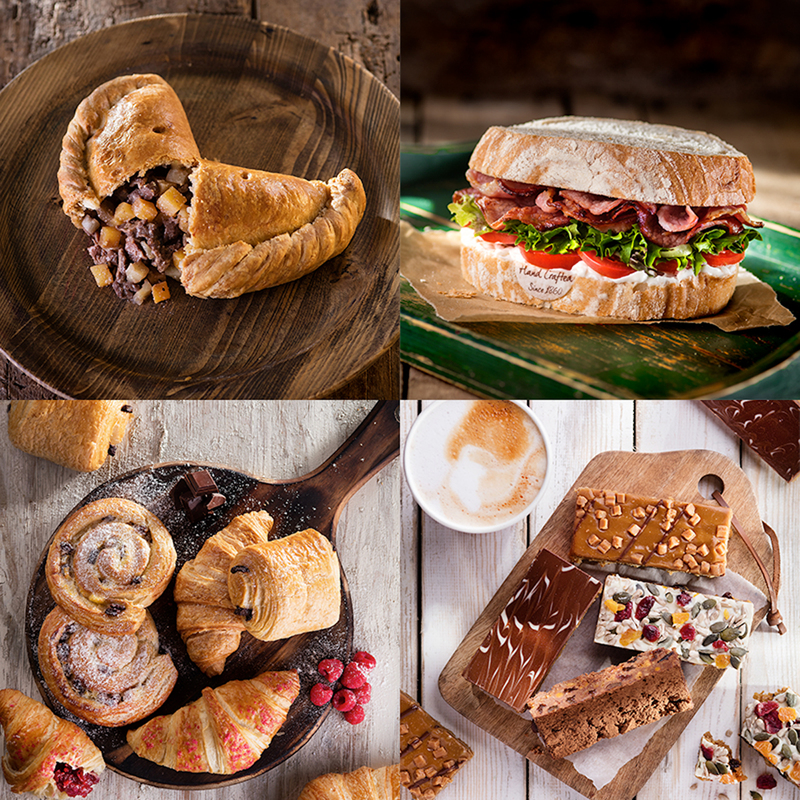 The brand-new range includes an array of autumnal traybakes, delicious Roast Pasties and the latest gluten-free pasties. Drop into the new bakery to pick up a traditional slice of British baking at its best. To find our new store in Altrincham, click here. Hello Bridgwater – Our newest store to date!